Samsung announced the Galaxy Note9 in four colors – Copper, Lavender Purple, Blue with a yellow S Pen and the classic Midnight Black. Later a fifth option called Cloud Silver started appearing and now it is up for another leak and color number 6 – White. The photo was shared by Evan Blass on Twitter who raised his doubts about the originality of the image and even asking for confirmation from arm-chair Photoshop detectives. 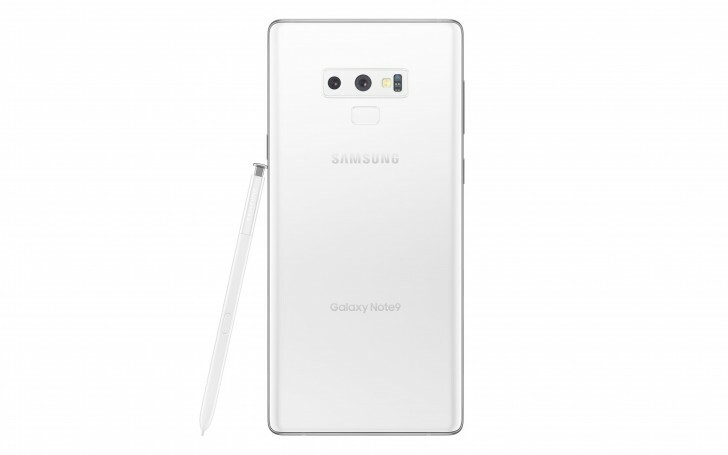 This led the following Twitter thread into a downward spiral where people were frantically looking for mistakes instead of agreeing that Samsung might indeed launch a White Galaxy Note9 smartphone. This isn’t the first time we see the Note series getting a white makeover. Back at the beginning of the year, Samsung introduced the Galaxy Note8 PyeongChang 2018 Limited Edition as part of the partnership with the International Olympic Committee for the Winter Olympics. The phone did not make it to retail stores and was exclusive for IOC members, staff, and of course, athletes.